Palli Karma-Sahayak Foundation (PKSF) Job Circular 2019 has been published by Newspaper and also find on my website CHomeBD.Com. Palli Karma-Sahayak Foundation (PKSF), an approx development organization, was established by the Government of Bangladesh in May 1990, for sustainable poverty reduction through employment generation. Legally, PKSF is a “company not for profit” and is registered under the Companies Act of 1913/1994 with the registrar of Joint Stock Companies. The legal structure of allows flexibility and authority to undertake programs in a dynamic environment, implementing them throughout the country and manage its affairs as an independent organization. Recently the PKSF Foundation looking new man power for 63 post. If you are interested for NGO organization jobs in Bangladesh, it’s a good one. Lets check the Palli Karma-Sahayak Foundation (PKSF) Job Circular 2019. Position Name: See Job Circular Image. 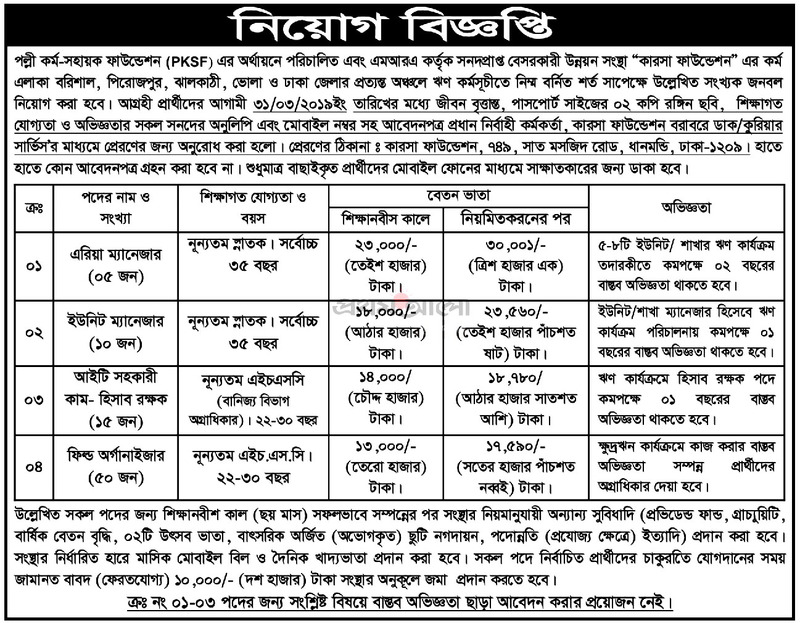 Number of Vacancies: See Job Circular Image. 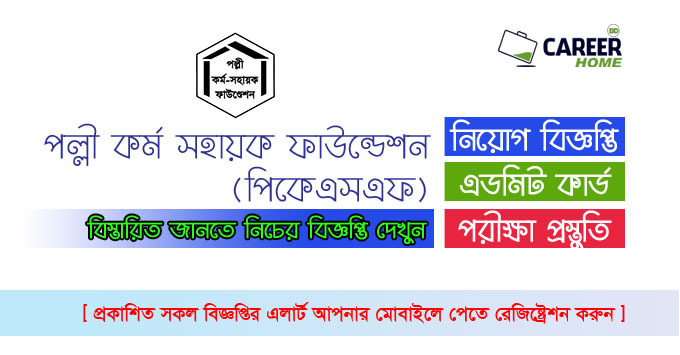 Educational Requirements: See Job Circular Image.. 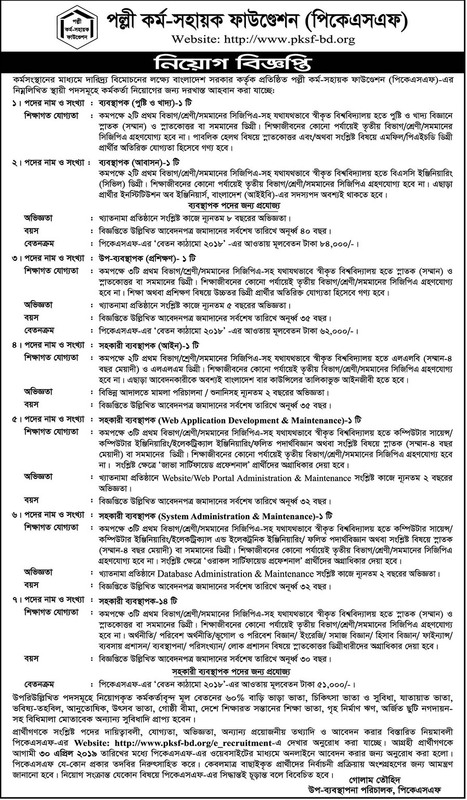 Applying Process: To Follow Below Job Circular Image. If you want more NGO organization jobs in Bangladesh to follow our website in a regular basis that helps you will get recent all jobs in Bangladesh. Our main aim helps the unemployment peoples who are finding qualified job profession. 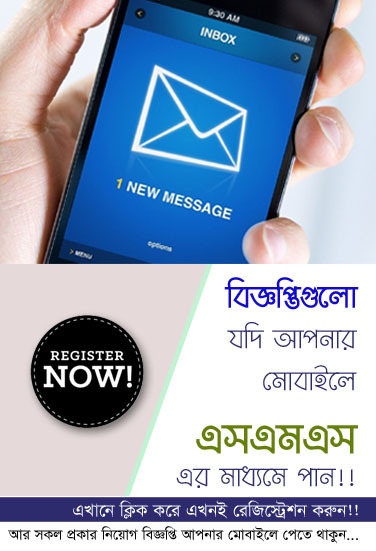 For your advantage, our time to time job circular updates you will get all types jobs circular information including recent government jobs circular 2018, private university lecturer jobs in Bangladesh, international jobs in BD, embassy jobs in Bangladesh.